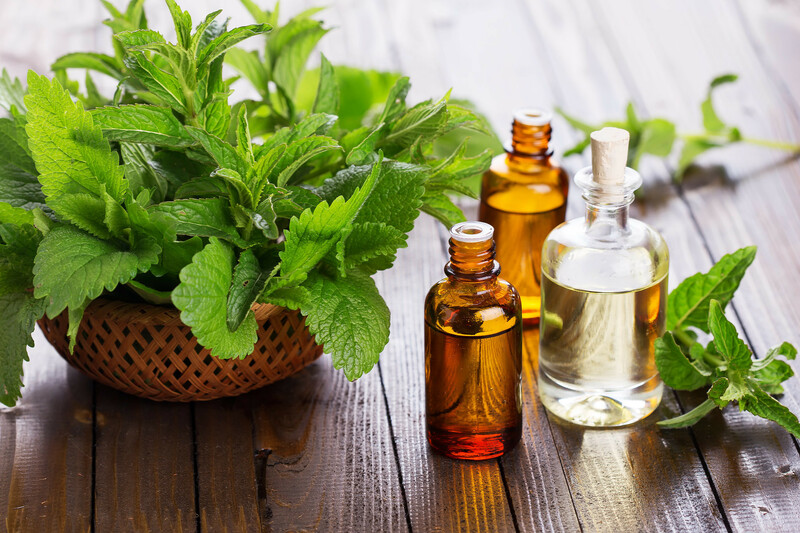 Peppermint oil is extracted from the leaves of the plant called peppermint, otherwise known as Mentha piperita, which is a crossbreed of spearmint and water mint. Not only does this oil have a wonderful minty scent, but it also has many medicinal properties. For example, it has proven to be a great remedy for muscle ache and headaches, as well as for various stomach problems. The perfect choice would be vodka or some other high-proof liquor that contains both alcohol and water, since the oil dissolves in this type of liquids the best. Glycerin, white vinegar or apple cider vinegar can be used as well; however, the finished product will not be as strong and lasting. If the peppermint oil is prepared for a child, avoid dissolving it with alcohol. If you want to use it for baking, you can opt for alcohol because it evaporates during the baking process. Dried leaves of peppermint plant should be dissolved in 90 to 120 proof vodka (containing 45 to 60% of alcohol). Fresh leaves of peppermint plant should be dissolved in stronger, 180 to 190 proof liquor, such as Everclear or vodka that contains 90-95% of alcohol. To subject more oils to the liquid, you can either mash some fresh mint leaves using a base of a cup, or chop them into two to three pieces. As for the dried leaves, crumble them by hand, or leave them intact. Remember to wash fresh leaves before you chop them. It isn't necessary to remove the stems; however, if any dark, rotting leaves are present, throw them away. How to make peppermint oil? The third step consists of putting the mint into a jar, covering it with liquid completely and closing the lid firmly. If you want your tincture to be strong, before pouring the liquid, make sure there is no more than half an inch of space left between the lid of the jar and mint leaves. You can also use fewer leaves, but if you do, the final tincture might have a weaker scent. The leaves will probably float at the beginning but will sink to the bottom after a couple of days. The jar should be left to sit for 4 to 8 weeks, but remember that the more it sits, the stronger the mixture will be. If you want to prolong its shelf life, make sure the jar is kept in a dark place with no sunlight. Shake the jar for a few minutes to accelerate the dissolution of oils at least once, but ideally two times a week. Sometimes you can taste the tincture to see whether it is strong enough. Before pouring the mixture into a container, put a filter on its top to remove the residue. The container should be made of brown glass as a means of protecting the mixture from the sun and helping it last longer. The shelf life of the oil is from 6 months to a year. If the mixture smells of alcohol or isn't strong enough, put a coffee filter on the top of the jar and let it sit for one more week so that a bit of alcohol can evaporate. Even though the mixture could last up to a year, it should be used within 6 months. Use the mixture in small doses. Do not use any alcohol that isn't safe for consumption, such as isopropyl and rubbing alcohol. The tincture could disrupt breathing, so remember not to massage a child's face with it. Now that you know how to make peppermint oil, it is time you learn what to use it for! It is considered to be of great assistance to soothe digestion due to its ability to expel gas from the abdomen and intestines, and help relieve you of any stomach ache or flatulence. To fight nausea, rub a couple of drops onto your stomach, put a drop on your wrists, or simply inhale. To calm down an upset stomach, try drinking a tea made by it. This essential oil is used as a means of alleviating respiratory difficulties such as asthma, bronchitis, sinusitis, common cold, cough and nasal congestion. To clear chest congestion, rub two to three drops onto the thorax. Peppermint oil steam is great for stopping the cough and feeling of stuffiness. Get a metal or a glass bowl, pour some boiling water into it and add several drops of peppermint essential oil. Cover your head with a towel, put your face not less than 10 inches above the bowl and breathe in the vapor. Mint works wonders when it comes to lessening the intensity of a headache! In addition to this, it also eases migraine and its following symptoms like nausea, vomiting, and light and noise sensitivity. Mix a tiny bit of almond oil and a drop of essential peppermint oil, and use the mixture to massage your temples, forehead, the area of your sinuses and the back of your neck. It will relieve the pressure and help soothe your headache. Now you know how to make peppermint oil, then you can learn how to use it to relieve stress, depression, exhaustion, and anxiousness. To relieve stress, add a little bit of peppermint oil to a hot bath, as well as a little bit of lavender oil and geranium oil. Consider buying aromatherapy candle lamp diffuser with essential mint oil. 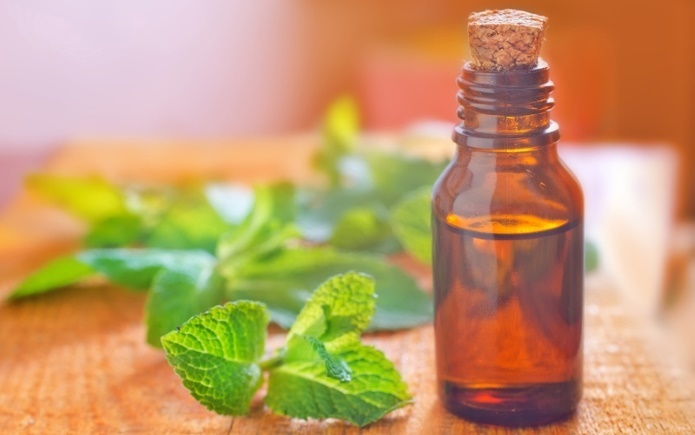 Peppermint oil increases the clarity of mind and energy levels; therefore it is a great choice for those trying to minimize their consumption of caffeine. For better concentration and more alertness, put a drop of the mint oil under the nose, or spray it around the room. To hold up your energy levels, keep massaging the back of your neck and shoulders with it throughout the day. To improve your mood and conquer fatigue, inhale some oil before and while working out. Peppermint oil has the ability to relieve pain, inflammation, as well as muscle spasms as a result of its analgesic, anti-inflammatory, and antispasmodic properties. When in combination with other essential oils, peppermint oil massage improves blood circulation by opening the pores of the skin located at its surface, which has a soothing effect on exhausted muscles.